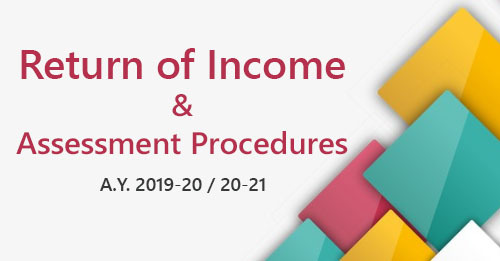 Notwithstanding anything contained in the Income-tax Act, the Principal Commissioner/ Commissioner may, in his discretion, reduce or waive the amount of penalty imposed or imposable on a person under section 270A or section 271(1)(iii) for concealment of income, etc. as per section 270A or section 271(1)(c) if certain conditions and satisfied. 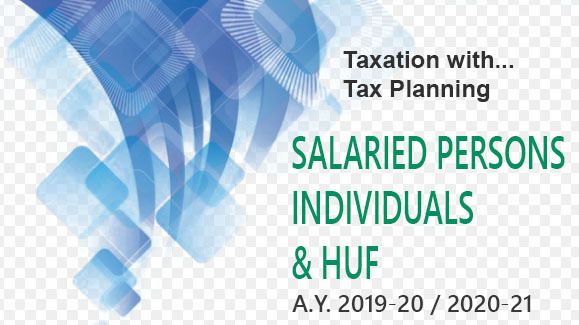 has either paid or made satisfactory arrangements for the payment of any tax or interest payable in consequence of an order passed under the Income-tax Act in respect of the relevant assessment year. i.e. the assessment year(s) for which application is made under section 273A. If the assessee satisfies all the above 3 conditions, then the Principal Commissioner or Commissioner shall (i.e. he is duty bound) waive the penalty and in that case there is no discretion. Such power to reduce or waive the penalty can be exercised by the Commissioner on his own motion or on an application made by the assessee. 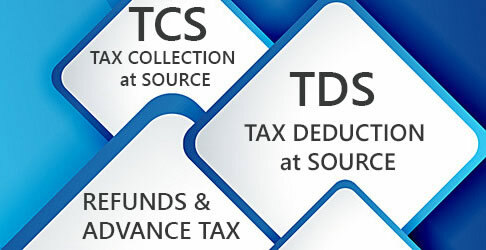 For the purpose of section 273A(1), a person shall be deemed to have made full and true disclosure of his income or of the particulars relating thereto in any case where the excess of income assessed over the income returned is of such a nature as not to attract the provisions of section 270A or section 271(1)(c). According to section 273A(2), no order under section 273A(1) for reducing or waiving the penalty shall be made by the Principal Commissioner or Commissioner except with the prior approval of the Principal Chief Commissioner or Chief Commissioner/Principal Director General or Director General, as the case may be, in a case falling under section 270A or section 271(1)(c) where the amount of income in respect of which the penalty is imposed or imposable for the relevant assessment year, or, where such disclosure relates to more than one assessment year, the aggregate amount of such income for those years, exceeds a sum of Rs. 5,00,000. According to section 273A(3) Where an order has been made under section 273A(1) in favour of any person, whether such order relates to one or more assessment years, he shall not be entitled to any relief under this section in relation to any other assessment year at any time after the making of such order. Without prejudice to the powers conferred on him by any other provision of this Act [including section 273(1)], the Principal Commissioner or Commissioner may, after recording his reasons for so doing, reduce or waive the amount of any penalty payable by the assessee under the Income-tax Act, or stay; or compound any proceeding for the recovery of any such amount provided certain conditions are satisfied. The waiver or reduction of penalty under section 273A(4) is possible only when an application for the same is made by the assessee. It cannot be done suo moto by the Principal Commissioner or Commissioner. the assessee has co-operated in any inquiry relating to the assessment or any proceeding for the recovery of any amount due from him. No order reducing or waiving the amount or compounding any proceeding for its recovery under this sub-section shall be made by the Principal Commissioner or Commissioner except with the previous approval of the Principal Chief Commissioner or Chief Commissioner or Principal Director General or Director General, as the case may be, where the amount of any penalty payable under the Income-tax Act or, where such application relates to more than one penalty, the aggregate amount of such penalties exceeds Rs.1,00,000. It has been clarified that the genuine hardship referred to in the provisions of section 273A(4) should exist at the time at which the application under section 273A(4) is made by the assessee before the commissioner and should so exist even at the time of passing of order under section 273A(4) by the Commissioner. The order under section 273A(4), either accepting or rejecting the application in full or in part, shall be passed within a period of 12 months from the end of the month in which the application under section 273A(4) is received by the Principal Commissioner or the Commissioner. However, no order rejecting the application, either in full or in part, shall be passed unless the assessee has been given an opportunity of being heard. Further, where any application is pending as on 1.6.2016, the order shall be passed on or before 31.5.2017. Penalties for different Defaults under Income Tax Act. 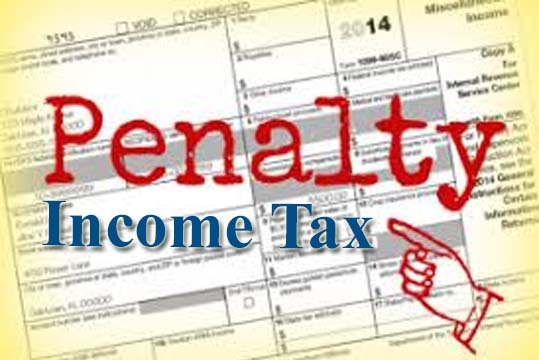 'PENALTIES' Under Income Tax Act. 1961.